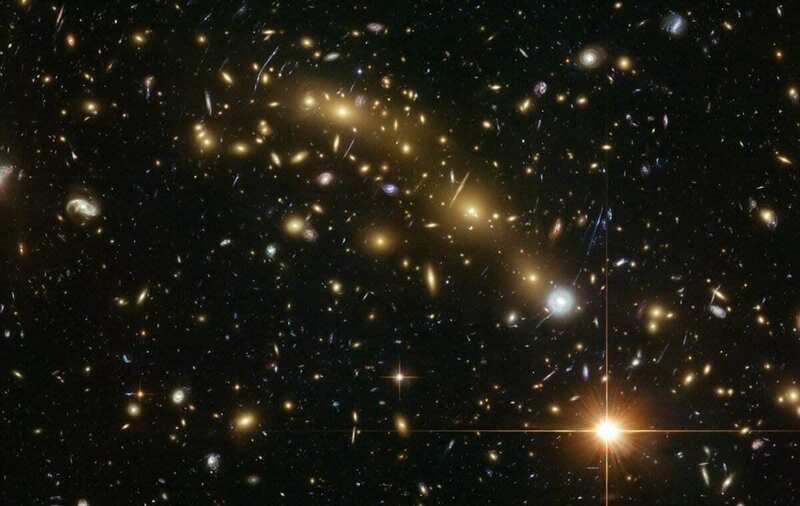 A new study led by Michael West of Lowell Observatory and Roberto De Propris of the University of Turku, Finland, reveals that the most massive galaxies in the universe have been aligned with their surroundings for at least ten billion years. This discovery shows that galaxies, like people, are influenced by their environment from a young age. Astronomers have long known that galaxies cluster together into enormous systems – the urban centers of the cosmos – and that the largest galaxies tend to ‘point’ towards their neighbors. But how and when these alignments occur remains a mystery. – Our results show that galaxy alignments were established very early in the universe’s history. It’s an important new piece to the puzzle because it says that whatever caused the alignments, it acted quickly, says De Propris. – We’re trying to measure the shapes and orientations of galaxies that appear very faint and very small because of their great distances, which is challenging, notes De Propris.